I had a great week! I got a lot of my quilting organized and I made a project list to get me moving. I'm trying to add the new projects to the end of the list, but that doesn't always work. My first project for 2014 is a new set of placemats for my family. One of our family resolutions was to have dinner all together at the dining room table more often. so I thought the placemats might be a good way to encourage that. I finished the first one on New Year's Day. I designed the pattern myself. 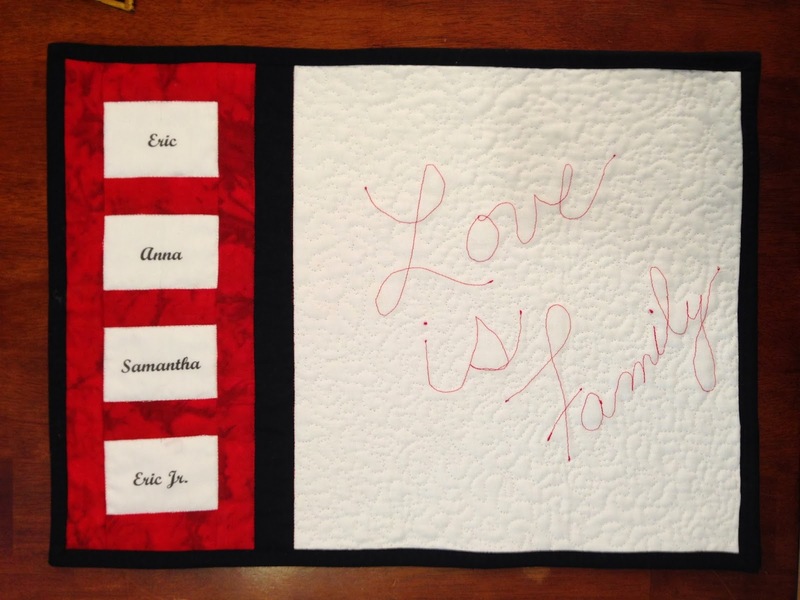 I named the pattern Love Is… Placemats. I used fabric from my stash. 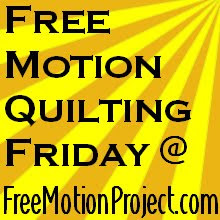 I free motion quilted it. I used an all machine binding technique. Most importantly...I didn't obsess about it. Hubby & the kids love it. I'm working on the other 3. Each one will have a different Love phrase on the white and they'll all have our four names on them. Each phrase will relate to our other family resolutions. I'm quite excited to finish them, show them off, and use them! These are some of the tools and processes I found most useful when FMQ'ing. I'll start out with the first five and add a few more over the next few Fridays. 1. Find quilting gloves that work for you. I love, love, love Quilter's Comfort Gloves by Dritz Longarm. They have gripper dots all on palm and fingers. What puts them over the top for me? It's a mild compression glove! They're usually $30, but I wait until Joann Fabrics has them on sale or I wait until I have a 50% off coupon. 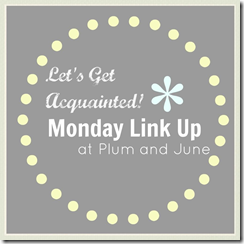 All quilting notions are 50% off right now so it's a good time to give them a try. You can also try Machingers or Fons & Porter Grip Gloves. 2. Use a slider on your machine. My Babylock Crescendo has a TruGlide Overlay accessory. It makes it easier to get a nice groove going and to keep it going when FMQ'ing. If your machine doesn't have a custom one as an accessory, you can try a Supreme Slider. It comes in two sizes 8 x 11 1/2 and 11 1/2 x 17. 3. Find your machine's sweet spot. The point at which your machine is running just right for optimal performance when FMQ'ing. Cindy Needham calls it the "Hum Purr" of the machine. If you haven't already taken her Craftsy class, it is filled with so many great lessons, I highly recommend it. 4. Invest in yourself. Give yourself time to improve your skills. Give yourself the training you need to improve your skills. Whether it's a book, LQS/guild workshop, Craftsy class, or tip you heard or read online, if improving your craft is important to you, make it and yourself a priority. 5. Buy a sketchbook. Now use it! I keep a 5 x 8.25" moleskin graph notebook in my purse. When I have a bit of free time, I practice FMQ'ing designs, plan the quilting for one of my tops, or design quilts. It gives me a safe place to practice and design. Plus, I almost always have it with me. I also date each of the pages so I can track my design work. These are the projects I want to move forward this week with my progress so far in parentheses. Like most of us, I have many more on my list, but I'll be happy to move this forward. I'm off to a good start...let's hope this lasts! I love your tips on FMQ. The placemat is cute. I love the placemats! What a great idea for a gift! You are off to a good start - I love your idea for place mats! Whoop whoop! !